Tom Browning was born on October 25, 1941, in Holyoke, Massachusetts. He entered the U.S. Air Force Academy on June 27, 1960, and was commissioned a 2d Lt in the U.S. Air Force on June 3, 1964. Lt Browning next completed Undergraduate Pilot Training and was awarded his pilot wings at Vance AFB, Oklahoma, in September 1965, followed by F-105 Thunderchief Combat Crew Training at Nellis AFB, Nevada. He then deployed to Southeast Asia, and served as an F-105 pilot with the 333rd Tactical Fighter Squadron at Takhli Royal Thai AFB, Thailand, from June 1966 until he was forced to eject over North Vietnam and was taken as a Prisoner of War on July 8, 1966. After spending 2,412 days in captivity, Capt Browning was released during Operation Homecoming on February 12, 1973. He was briefly hospitalized to recover from his injuries at Maxwell AFB, Alabama, and then completed pilot recurrency training with the 560th Flying Training Squadron at Randolph AFB, Texas, from October 1973 to January 1974. 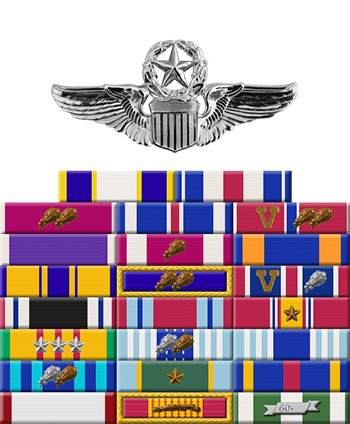 His next assignment was as a T-38 Talon pilot, instructor pilot, and flight commander with the 64th Fighter Weapons Squadron at Nellis AFB from January 1974 to December 1975, followed by service as a T-38 flight commander and assistant operations officer with the 65th Tactical Fighter Training Squadron at Nellis from December 1975 to January 1977. Maj Browning attended Armed Forces Staff College at Norfolk, Virginia, from January to July 1977, and then served as an F-15 Eagle pilot and assistant operations officer with the 58th Tactical Training Squadron at Luke AFB, Arizona, from July 1977 to May 1978. His next assignment was as an F-15 pilot, Operations Officer, and then Commander of the 555th Tactical Fighter Training Squadron at Luke AFB from June 1978 to June 1981, followed by U.S. Army War College at Carlisle Barracks, Pennsylvania, from June 1981 to June 1982. Col Browning served as Chief of the Operations Division in the Directorate of Electronic Combat with Headquarters U.S. Air Force in the Pentagon from June 1982 to July 1984, and then as Vice Commander and then Commander of the 58th Tactical Training Wing at Luke AFB from July 1984 to July 1987. He next served as Deputy Chief of Staff for Operations of 12th Air Force at Bergstrom AFB, Texas, from July 1987 to July 1988, followed by service as Vice Commander of 12th Air Force from July to August 1988. 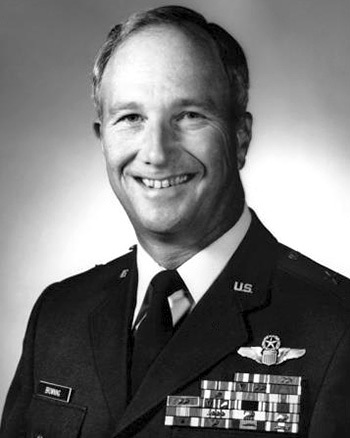 Gen Browning served as Commander of the 313th Air Division at Kadena AB, Okinawa, from August 1988 to August 1990, and then as Commander of the 832nd Air Division at Luke AFB from August 1990 to September 1991. His final assignment was as Commander of the 58th Fighter Wing at Luke AFB from October 1991 until his retirement from the Air Force on September 1, 1992. Ralph Browning died on July 7, 2018, and was buried at Arlington National Cemetery. For gallantry and intrepidity in action in connection with military operations against an opposing armed force during the period from July 8, 1966 to July 20, 1966, while a Prisoner of War in North Vietnam. Ignoring international agreements on treatment of prisoners of war, the enemy resorted to mental and physical cruelties to obtain information, confessions, and propaganda materials. Captain Browning resisted their demands by calling upon his deepest inner strengths in a manner which reflected his devotion to duty and great credit upon himself and the United States Air Force.